I recently posted a blog about Virginia’s new, statewide No Kill effort. Regional and statewide efforts are a big trend in No Kill right now, and there is very often a history to such efforts – they usually don’t just pop up out of nowhere. The history in Virginia is particularly interesting because it traces back to the origin of the national No Kill movement. 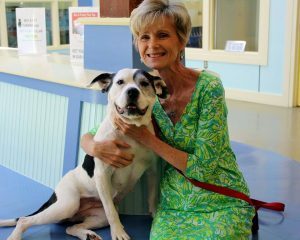 No Kill in Virginia had its roots in Richmond two decades ago, when Robin Starr became CEO of the Richmond SPCA. The Richmond SPCA, a non-profit, was founded in 1891. Richmond is an independent city located on the I-95 corridor in eastern Virginia. The city itself is not large, with only some 200,000 people, but the metro area has well over 1 million people. Richmond has a city-run shelter that is known today as Richmond Animal Care and Control. 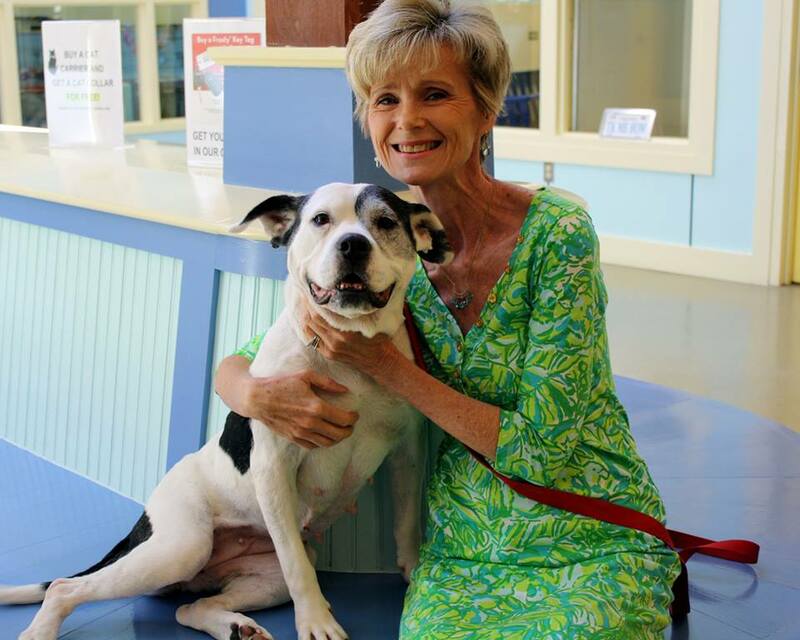 Starr came to animal-shelter management from outside the industry. Before becoming CEO of the Richmond SPCA, she had a successful practice as an attorney with a large law firm. 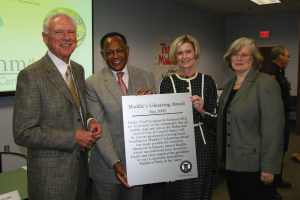 Like many attorneys, she sought to give back to her community by serving on the board of a non-profit, and she joined the Richmond SPCA board in 1994. A turning point for her and the organization occurred in 1997, shortly before she took over as CEO, when one of her fellow board members gave her a copy of the San Francisco SPCA’s “Our Animals” magazine. The magazine described the historic Adoption Pact that had been signed in 1994 by Richard Avanzino, president of the San Francisco SPCA, and Carl Friedman, head of San Francisco’s city shelter. Since that time, no healthy and non-vicious animal had died in either the city shelter or the San Francisco SPCA, and most of the treatable animals were saved as well. That was the first Starr had heard of an entire city going No Kill, and she was intrigued. She made a trip to San Francisco and spent most of a day with Avanzino, observing how the San Francisco SPCA worked. She describes this experience as “transformational,” and says that it “changed my perspective on everything.” Avanzino was “incredibly generous” with his time and expertise, and became a mentor for her. She still keeps in touch with him. At the time that Starr became CEO of the Richmond SPCA, the organization was voluntarily taking on a lot of the responsibilities of local animal control and sheltering in Richmond, without any contract with the city. In San Francisco, the SPCA had for many years done animal control and sheltering under a contract with the city, but that had changed in 1989 when the San Francisco SPCA did not renew its contract. The city then built its own municipal shelter, and the partnership that was forged between the new city shelter and the San Francisco SPCA was key to the increase in lifesaving that had made the Adoption Pact possible. Starr was struck by the contrast between San Francisco, where a successful partnership between the city and the San Francisco SPCA had doubled the resources available for animal care and control, and Richmond, where there was almost no communication between the city and the Richmond SPCA, much less a partnership. Starr discussed all this with the board of the Richmond SPCA, and they decided to do some strategic planning to develop a No Kill program. This planning took place in 1998 and into 1999. Back then there were few examples to follow in creating a No Kill city, and it was a huge leap of faith for a legacy humane organization like the Richmond SPCA to even consider such a project. Starr began to push back on the city’s view that it was the duty of the Richmond SPCA to take in and kill homeless animals. This pushback resulted in criticism from people who felt that the Richmond SPCA just wanted to force someone else to do the killing. Starr believed that it was up to every organization to chart its own path. If she and the board of the Richmond SPCA believed that killing healthy and treatable animals was morally wrong, then it was their duty to stop killing animals themselves and start working to provide the city with tools to avoid killing entirely. Starr began discussions with the city of Richmond to get the Richmond SPCA out of the business of doing animal control, and she describes the result as “an avalanche of criticism and hostility” that caught the Richmond SPCA off guard. In fact, the late 1990s were perhaps the peak years of resistance by the traditional shelter industry nationwide to the No Kill philosophy. Many in the traditional shelter industry saw No Kill as an attempt by private humane societies and SPCAs to portray themselves as animal saviors and garner more donations, while leaving it to public shelters, who were not getting any of that money, to deal with pet overpopulation, including killing. Within a few years, though, the traditional shelter industry would begin to understand that No Kill was more than just an attempt to appear virtuous, and attitudes toward No Kill would gradually begin to change. But in the late 1990s it took courage to do what the Richmond SPCA did and follow it through. In spite of the initial opposition, Starr was very successful in moving Richmond toward the San Francisco model. 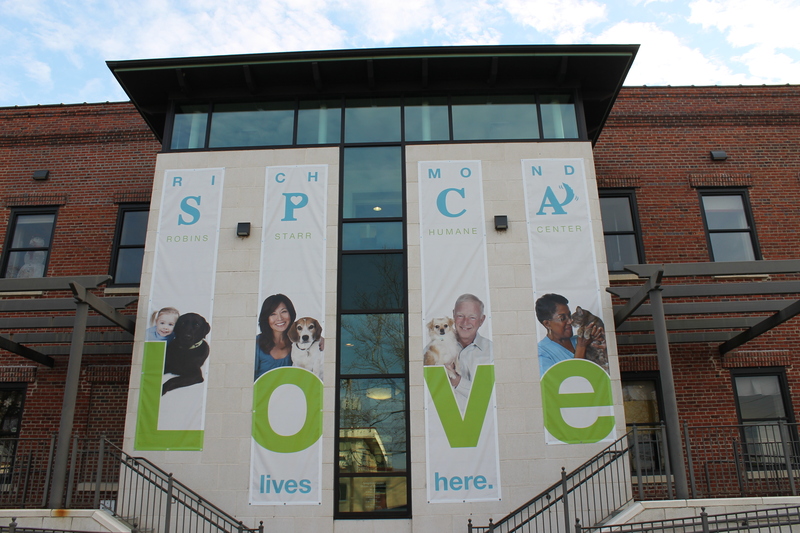 From 2001 until 2008, the Richmond city shelter and the Richmond SPCA had a formal public-private partnership. The live release rate was 80% for the coalition for 2008. This was one of the highest live release rates in the country at that time for a city of substantial size. The relationship between the Richmond SPCA and the city shelter has had its ups and downs since 2008, but today the organizations are working well together, although they do not have a formal partnership. The live release rate of the Richmond SPCA itself has been over 99% for years. The live release rate for the Richmond city shelter was 90% in 2016. The Richmond SPCA has made it a priority to help other shelters throughout the state of Virginia, not just the Richmond city shelter. For example, when the new director of the Tazewell County shelter wanted to increase the shelter’s live release rate in late 2015, the Richmond SPCA assisted the effort by pulling animals from the shelter. Last year the Richmond SPCA took in 1369 cats and 995 dogs as transfers from other Virginia agencies. The Richmond SPCA has helped move No Kill forward in Virginia in other ways too. Starr has worked on statewide issues that were supported by the Virginia Federation of Humane Societies (VFHS). (VFHS first introduced a statewide plan to save all healthy and treatable shelter animals in 2006.) Several people who worked at the Richmond SPCA have gone on to successfully manage their own shelters, including Makena Yarbrough, executive director of the Lynchburg Humane Society, and Denise Deisler, executive director of the Jacksonville Humane Society. Both Yarbrough and Deisler are having impact beyond the jurisdictions of their own shelters. Yarbrough’s shelter is central to Virginia’s current statewide No Kill effort. The No Kill effort that started in Richmond in the late 1990s is interesting because of its close ties to the San Francisco model, and because of its importance in the early development of No Kill in Virginia. There have been additional important influences on No Kill in Virginia in more recent years. Susanne Kogut played an outstanding role as executive director of the Charlottesville/Albemarle SPCA, which inspired many people when it achieved and maintained a 90%+ live release rate in the mid-2000s. Kogut wrote about the possibility of a No Kill Virginia back in 2011. Some shelters in Northern Virginia, including the ones in Arlington County and Fairfax County, have also been setting high standards for years. Virginia’s No Kill evolution illustrates the importance of institution-building, which historically was a slow process. If the Virginia No Kill effort achieves its goal of a 90% average live release rate by 2020, it will mark 23 years since Starr took over as CEO of the Richmond SPCA. Today it is possible to build No Kill institutions and cooperative networks much faster than it was 20 years ago, because No Kill is much more accepted today and reformers do not have to reinvent the wheel. The prospects seem excellent not only for Virginia to reach its No Kill goal, but also for the Virginia No Kill experience to be an inspiration to other states. Tennessee needs to become a no kill state too as do other states. Sorry but Richmond Animal League was leading the way as early as 1992 to start a non-euthanizing / no kill movement. I think the new factor with Richmond SPCA in the late 1990s was the program to partner with the city to make the entire city No Kill. There were some great individual No Kill shelters in the US as far back as the early 1900s. Why let facts get in the way. The story started long before the Richmond SPCA got involved. I’m not aware of any organization in Richmond that tried to partner with the city before 1997 — care to enlighten us as to what you’re talking about? Very interesting! Would love to see an expanded history, tying in this article’s info to low cost s/n efforts such as RAL Loving Clinic and PAL, as well as free feral clinic Operation Catnip. Low cost s/n is a key part of no kill. Btw many times when I’ve been at PAL, I’ve seen Richmond AC there. I also wonder how low cost Helping Hands fits into the picture by making surgery and dental surgery affordable – surely that made previously unadoptable animals candidates for adoption. Shout out to PAL, RAL Loving clinic, Operation Catnip and HH for helping our small town with our no kill efforts. I don’t think we’ve worked with the SPCA yet. One of the problems whenever I write about historical influences on No Kill is that it’s impossible to mention every person, every organization, and every factor that had a part. Thank you for mentioning some of the spay-neuter/medical care organizations in VA. There certainly seems to be a correlation between spay-neuter efforts and intake declines, and spay-neuter efforts remain important in parts of the country that are struggling with the amount of shelter intake.